Listen here or use Flash Player on right for all episodes. 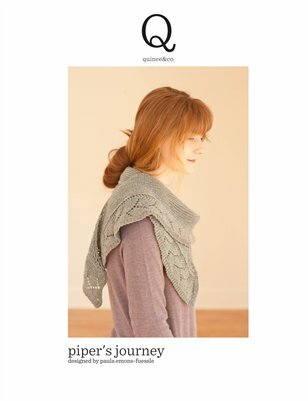 Quince & Co. is giving away a scarf pattern and the yarn to make it (your choice) to one lucky listener of Knitting Pipeline. Leave a comment below or on Episode 23 and your name will be entered into the drawing. The winner will be announced on Episode 25! Be sure to leave a way for me to reach you, either your blog or Ravelry name! Here are some new photos of my recent Quince Stash. Chickadee (Sport Weight) in the color Bird's Egg. Oh, the possibilities! A luscious skein of Pomegranate. Schieffelin Point Shawl by Kate Gagnon Osborn. A free pattern from Kelbourne Woolens. Blocking on the guest bed. The best photo for showing the shape of the shawl. The color is Snap Pea in the Chickadee line from Quince & Co. Falling Water Shawl by Rose Beck/Rosy Posy Designs. Celtic Cross Pipes and Drums performed at Grace Family Christmas last weekend. The show was fabulous! I will let you know when this program will air on television in the U.S.
For the past month or so I have been doing as little purling as possible because I had been experiencing some discomfort in my hands after knitting for a while. I have concluded (quite scientifically, of course) that purling was the culprit. Bad purl! I'm going to Camp KIP! Are you? Jackie of KIPing it Real Podcast is organizing a fantastic retreat at Pere Marquette State Park, Grafton IL April 6-9. Read about it and register here. The tune is from Magnatune's Christmas Album. Gloucestershire Wassail-Wassail Song by James Edwards. I had to laugh when you mentioned my "drooling" comment. Then I realized that I had sent you a pm on Ravelry and didn't leave a comment on the blog to enter the contest! My bad - I guess I was overtaken by the yarn fumes here amidst all my holiday knitting. I found that I don't have quite the purling problems anymore after switching over to the Portuguese method. I taught myself just watching the YouTube videos and now use that method when working those long rows on shawls. Speaking of shawls, I really like the raglan style because I don't have long tails and they stay on my shoulders. I recently converted a Bitterroot shawl to a raglan style. It was certainly a labour of love and I still have to block it but I think it's going to be a favourite of mine. I made two of Stephanie Japel's Mirth Shawls and that's what got me hooked on raglans. I finally got caught up with your podcast and had to come to the website to check out the yarn you were raving about! Now that I see how gorgeous it is, I figured I should leave a comment and see if I get lucky...if not, I'll be visiting the Quince website to buy some of that beautiful yarn anyway! Paula, I am a fellow central IL shawl wearer. I wear the few I have very frequently and get lots of comments too. A friend at work has been hounding me to make her one. I told I would do it for two million dollars or I could teach her for free. Now she just tells me it is so pretty and pets me. I did not convert her to knitting but she has stopped trying to coerce me to knit for her. I am KnittaSista on Ravelry if you want to take a look. I really enjoy the podcast, thank you. I have been drooling over the Quince yarns since they first came out. However, I haven't allowed myself the indulgence to buy myself more yarn just yet. I have so much sock yarn, that I haven't given myself permission to buy any new yarn of any type. Thanks for the chance to win! I am RiverCitySTL on Ravelry, and live in nearby state of Missouri. I LOVE your shawl made out of Chickadee yarn!!! We had a rare chickadee visitor at our feeder yesterday. They are so cute! That is so cool that their yarns are named after birds. I only started listening to your podcast last month but I am really enjoying it. I love your shawls. One day I will build up the courage to knit that much lace. Thanks for podcasting! I've been listening a while and am sorry not to have posted sooner to say how much I enjoy your podcast and the various segments you include. How bold and wonderful of you to convince Quince and Co. to do a giveaway. Their yarns look amazing and I love that they use Cecily Glowik McDonald to do many of their designs. Let me try this again. After listening to your tip in the last podcast about posting comments, I am trying another browser--and hoping I am not double posting. Oh, and, I LOVE the picture at the top of your other blog--the lovely white lilac and Monarch (I think) butterfly. I love the Bird's Egg color! Gorgeous yarn. I'd love to win some. I'm CabledSheep on Ravelry. I love my Schieffelin Point shawl - it's so nice and squishy with all of that garter stitch, and I really like the half-circle shape. I haven't attempted a shawl yet but I am inspires! Shawl/shawlette knitting is all I seem to be doing recently. Love them! I had to drag myself away to start a hood. I love Quince&Co's efforts to support USA products, they are in good company with designers like Jared Flood. I would love to do the gorgeous Caribou scarf in Peacock, River and Lupine. What a stunner that would be. Thanks for the giveaway. I can be reached through my blogger profile. Hi Paula I've already made a purchase from Quince & Co after listening to your podcast. I wanted to send my knitting sister something extra special for Christmas, after looking at their webpage decided to send a pattern and yarn (puffin). How jealous am I, winning the yarn and pattern would certainly make up for it. Thanks for such a great podcast, loving hearing about shawls in such detail. Snap pea, pomegranate, river--so lovely! I have just found your blog and can't wait to listen to the podcast. I would love to win some Quince and Co yarn! The yarns look really nice, but I have myself on a strict yarn diet for a bit. And as always, I love your shawls. You do such nice work. I have loved wearing shawls long before it was fashinable. Several years back, towards the end of summer begining of fall, I was wearing a long summer dress with a shawl. Like you mentioned before, air conditioning is never the right teperature. Anyway, a man approached me and said to me " You look like a lady." Every time I wear a shawl I think of that man. Thank you for this fantastic segment. You have a great podcast, I enjoy it every time. Everyone should remember, shawls are like everything else. Just knit and purl. If you really want something, you will make it. Just try. Paula, thank you for your podcast. I enjoy listening and always learn something. Love your shawls, I am a shawl fan as well. Would love to win the quince yarn as well! Paula, your shawls are really beautiful. I wear shawls all the time all different ways. I love them and also love that they are not mass produced. The Quince & Co yarns are gorgeous. I would love to try them! I really have been wanting some of that yarn but haven't been able to decide the perfect pattern or which color I want. Please include me in the contest! Thanks! Love you podcast, love that yarn, going to go and leave an I-tunes review. Kaystir on Ravelry. Your shawls are really lovely. They're so perfect for the SF Bay Area weather, I wish I liked wearing a shawl, but I've never been comfortable in one. I'd love some gorgeous Quince & Co. yarn, thanks for the giveaway. I am really enjoying your podcast! Thanks also for introducing me to The Woolen Rabbit - such beautiful colors! Quince & Co. is a great yarn, too. Paula - don't let the 22.5 degree shawl's increases daunt you. it's really easy to see the every 3rd row increase (YOs) down the middle of the triangle and the ends increase by a stitch each row. i knitted it in the car with a little flashlight hooked to my ear (while my husband was driving of course!) and i'm not an accomplished knitter. I am just in love with the Quince yarns! Absolutely divine looking stuff. I hope I can get my hands on some soon. As a fellow Illinois knitter, I hope all of your shawls are keeping you warm in what looks like will be a long, cold winter! Thanks for your podcast, I really enjoy listening to it. I am amazed at how much knitting you get done in a year! And they are all beautiful things! Also, after listening to your podcast, I had a look at the Quince & Co. website. 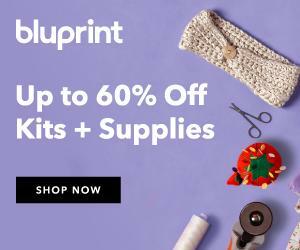 They really have beautiful yarn and their new company seems very promising. I wish them a lot of success and the same to you! The Quince sounds like an absolute dream, so of course I'm tossing my name into the hat! I had never heard of it before, so I'm happy to have had my yarn horizon expanded. I am so enjoying your podcast, especially all the talk about shawls and shawlettes, which are my new passion. Thanks for your podcast—I look forward to every episode. I want to knit shawls too! I really want to be knitting the Pagona shawl with everyone else because it looks so nice! I wore a friend's Pagona for a bit recently and it fit so nice!! Love you Paula, can't wait to meet you at CampKIP! Paula, thanks for keeping me company with your podcast while I took down the Christmas tree and all the decorations. What a pleasant way to speed up this task!